Capital allowances – A capital idea or a real headache? Recent research from TM Group suggests that for many the issue of Capital Allowances has snuck in under the radar. 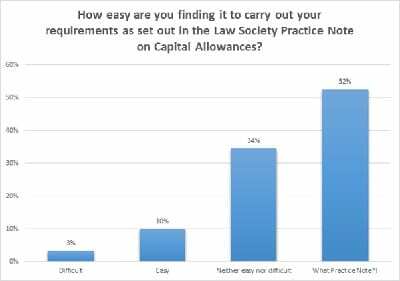 From research conducted in February 2015, when asked ‘How easy are you finding it to carry out your requirements as set out in the Law Society Practice Note on Capital Allowances?’ 52% percent of respondents answered ‘What Practice Note? !’ and less than 10% were finding it easy to fulfil their obligations. Read the original poll here. To try and explain these findings, if we cast our minds back to the release of the Contaminated Land Warning Card in June 2001 and more recently the Flood Practice Note in May 2013, both had been widely discussed and were making headlines before they came into effect. However, the Practice Note on Capital Allowances has come into effect with much less fanfare. The answer is yes but actually, later in the process, conveyancers are involved and are required to be proactive from the very start, thanks to the Practice Note. Since April 2014 – so, nearly a year ago – whether you are acting for a buyer or a seller you should be raising the issue of Capital Allowances with your client as early as possible in the transaction. Why? Well, it can take time to put all of the documentation together but, more importantly, failing to advise the client could result in delays or financial loss to them. Also, to reinforce the point, after 1 April 2014 if you sell a property but haven’t identified the available allowances and the client then claimed them via their tax return the unclaimed allowances are lost for the seller, the buyer and any future owner of the property. 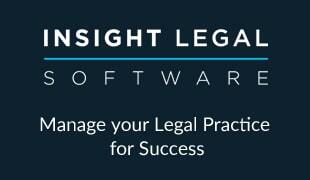 Without unnecessary scaremongering, non-compliance of the Practice Note and subsequent loss of the Capital Allowance could lead to some quite high claims from clients, potentially running into tens of thousands of pounds. So, what can be done? The best place to start is to read the Law Society Practice Note and some information from HRMC. You should also look to add some information into the client care letter. 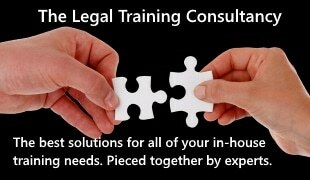 But how can you easily demonstrate that you have advised your client and discharged your duties in this area? My answer would be in the same way you do with the contaminated land and flooding: with a search that can be passed onto the client to help them in this matter and get them underway with some information which they can pass onto their tax advisors. 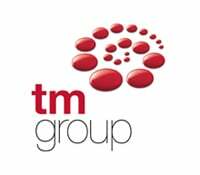 TM have launched a commercial search at £50 and a residential one at £15 which, with some additional information from the client, can be returned in hours. Not only can your client start their claim early in the transaction, or cost-effectively show that there isn’t a claim but, as a solicitor, you can very easily demonstrate that you have carried out your duties as set out by the Law Society. Want to learn more? Register for TM Group’s Capital Allowances webinar which takes place at 1pm on Monday 27 April 2015.